Preaching soon, but not exactly sure what you’ll be saying? The NKJV Vines Expository Bible is jam-packed with helpful information: word studies, sermon outlines, and book introductions. Also, this resource is written by a name you can trust, Dr. Jerry Vines. Dr. Jerry Vines is a native of Carrollton, Georgia. He was educated at Mercer University (B.A. ), New Orleans Theological Seminary (B.D. ), and Luther Rice Seminary, (Th.D.). Dr. Vines accepted the call to be pastor at First Baptist Church, Jacksonville, Florida, in July 1982 and retired from the pastorate in February of 2006. Additionally, He was elected President of the Alabama Pastors’ Conference in 1976, President of the Southern Baptist Pastors’ Conference for 1976 -1977. He also served two terms as President of the Southern Baptist Convention from 1988 – 1989. All this information tells us something: Dr. Jerry Vines has experience preaching and he knows how to do it well. Before we dig in too much (because we are definitely going to show you this inside of this awesome preaching resource!) let’s hear from Jerry. This quote comes directly from the introduction of the NKJV Vines Expository Bible. 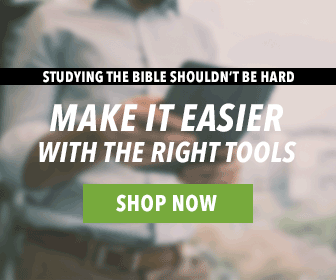 Let me give you some ideas about how to get the most out of The Vines Expository Bible. At the beginning of each book, there is an “Introducing” section. This will give you some insight into how to understand that book’s content. 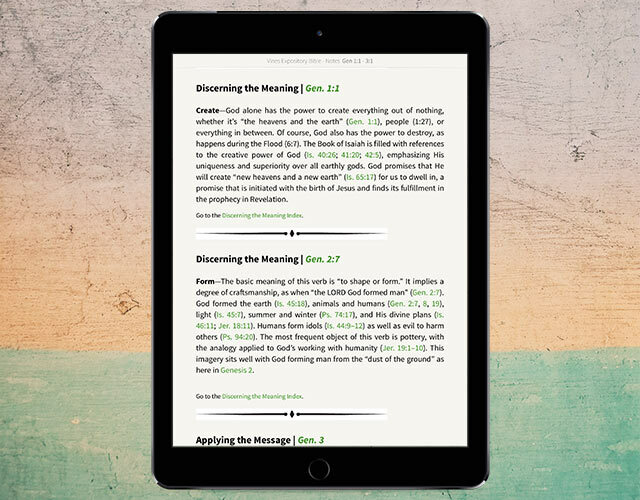 More than 300 key word studies are available in “Discerning the Meaning” notes. Along the way you will find hundreds of “Applying the Message” and “Living the Message” articles. When you’re preparing a sermon, the first step is to remember the context of the passage you’re preaching on. 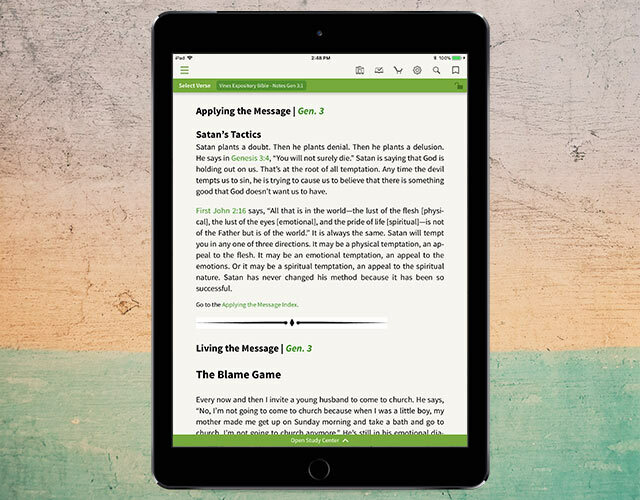 The NKJV Vines Expository Bible gives concise and meaningful introductions to each book of the Bible so that you don’t have to spend tons of time searching for this information. Dr. Vines provides you with some of his thoughts and research on authorship, date, outline and themes before digging into the main text. Oftentimes, it can be difficult to pick a word to study and share with your listeners. You could spend hours researching most of the words in a passage! But, for those times that you are in a pinch, Dr. Vines picked out important key words throughout the entire Bible and did most of the research for you. Now, all you have to do is read the definition and tap on the green verses to read cross references. Certain passages only bring to mind specific application points. You’ve heard so many sermons on a passage that you can’t think of any other way to apply it! Or, vice versa, you may try to preach on a very unfamiliar passage, and be left wondering how this relates to anyone’s lives. When preparing a sermon or lesson, it can be so helpful to read someone else’s application points. Most likely, these will inspire a way for you to uniquely apply the passage to your listeners, while staying within the context of the passage. Newer to preaching and would benefit from looking at possible sermon outlines? Dr. Vines has been teaching and preaching for years! So, he included many of his own sermon outlines. You can look them over, gain inspiration, make new connections, and prepare an awesome lesson for your listeners. Want to see all the references to a specific word in the Bible? Dr. Vines provided a concordance in the back of this resource. 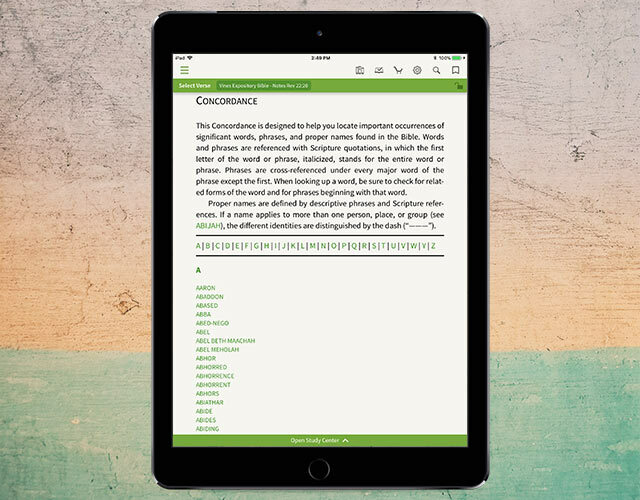 Navigate quickly through the concordance by tapping on any of the green, hyper-linked letters and words! We guarantee that this will get the job done much faster than with a paper concordance! 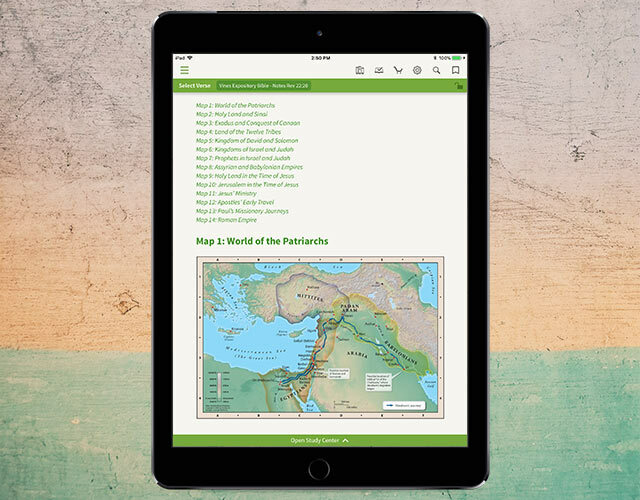 Bring the Bible to life with maps. In the back of this resource, there are 14 full-color maps. Get the big picture, then zoom in and focus on the details. Then, share what you discovered with your congregation or small group! If you have a way to display your device on a large screen, you could even project our app and show the map to everyone! 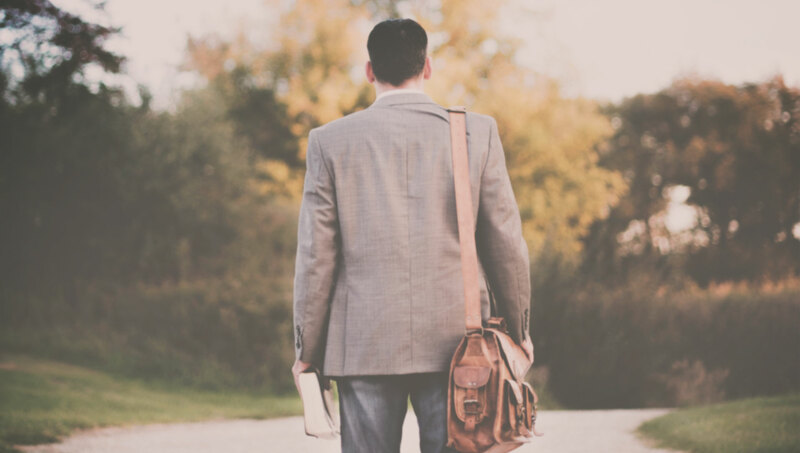 Ready to start preaching with the help of Dr. Jerry Vines? Purchase the NKJV Vines Expository Bible today. I have liked this Bible very much. Iam earnestly requesting for a gift out of your generosity. I am a pastor serving in Zambia, Africa.